We know that the Common Core State Standards are encouraging you to reevaluate the books that you assign to your students. To help you decide which books are right for your classroom, each free ebook in this series contains a Common Core–aligned teaching guide and a sample chapter. This free teaching guide for Their Eyes Were Watching God by Zora Neale Hurston is designed to help you put the new Common Core State Standards into practice. 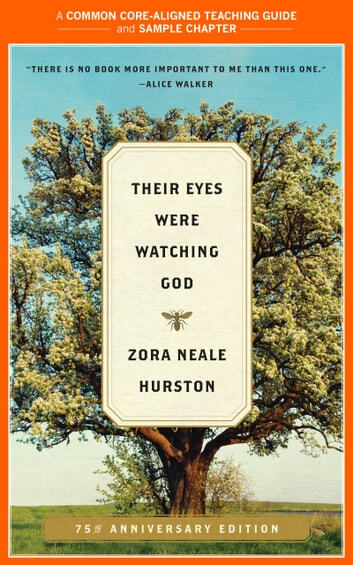 One of the most important and enduring books of the 20th century, Their Eyes Were Watching God brings to life a Southern love story with the wit and pathos found only in the writing of Zora Neale Hurston. Out of print for almost thirty years—due largely to initial audiences' rejection of its strong black female protagonist—Hurston's classic has since its 1978 reissue become perhaps the most widely read and highly acclaimed novel in the canon of African-American literature.